McRock N’ Roll Cafe was a Rock N’ Roll themed McDonalds restaurant located on the site of the former Auto-Dine Diner at the intersection of Main Avenue and 7th Street. It was opened in November 1991 by Mort Bank, who would later establish Space Aliens Grill & Bar. 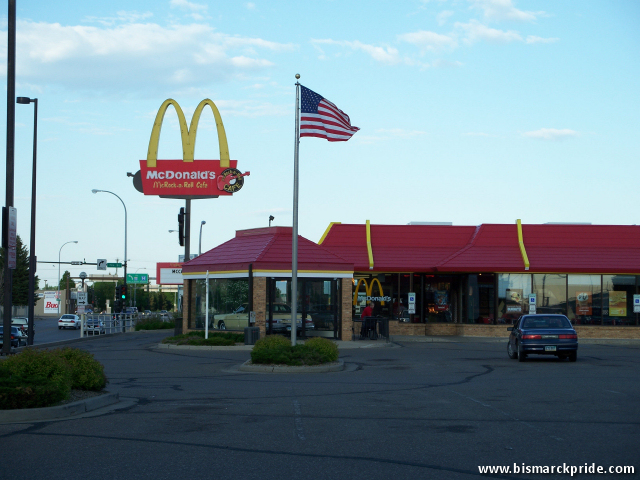 In total, Mr. Bank opened 7 themed McDonalds restaurants in North Dakota. The restaurant underwent major renovation in 2012-2013, dropping the iconic 1950s diner theme and replacing it with a local-flavored theme. Many of BisManCafe's pictures were used in the current artwork.